Tanzania, East Africa is dominated by a tropical savanna climate which influences agricultural patterns, movements of wildlife, and a range of environmental processes1. Distinct wet and dry seasons affect events such as maize production, wildebeest migrations, and the retreat and advance of glaciers on Mt. Kilimanjaro. However, climate change is likely to interfere with seasonality – the timing of seasons – and result in intensification of extreme weather events2. Climate models can forecast possible outcomes for the region, although there is still uncertainty as to what these impacts will actually look like. To understand Tanzania’s current climate, it is important to recognise the role of the Intertropical Convergence Zone (ITCZ), a dynamic rain belt which encircles the earth. The ITCZ is the result of converging hemispheric trade winds, and intense equatorial sunlight3. Solar energy rapidly increases the air temperature within the zone, raising its buoyancy. Assisted by the colliding winds, this air rises, cools and coalesces, resulting in heavy localised precipitation events. Shown in diagram 1, the location of the ITCZ varies seasonally, bringing summer rains and long dry winters to the regions that it crosses4. Figure 1: Migration patterns of the ITCZ between January (Southern Hemisphere summer) and July (Southern Hemisphere winter). Credit. As the ITCZ interacts with a warming climate, it is set to become more intense and unpredictable. With increasing temperatures, the atmosphere has a greater capacity to store water; rainfall events can be more severe, and ground moisture is more easily evaporated by a ‘thirstier’ atmosphere4. At the same time, global temperatures are increasing at different rates between hemispheres, changing the gradient underlying key trade winds4. While there is uncertainty as to how this will impact the ITCZ, some evidence suggests that it will shift further north5. For Tanzania, straddling the Southern end of the band, the consequences of these interactions are likely to be more frequent extreme weather events, with less predictable seasonal onsets2. While ITCZ is the biggest driver of climate in Tanzania, it interacts with local relief, vegetation and the El Niño Southern Oscillation cycle to determine conditions locally1. These factors contribute to ‘chaotic fluctuations’ which are difficult to account for in climate models, making the models forecasts with a range of uncertainty2. Researchers at Future for Africa have analysed 34 climate models affecting Tanzania, and come to conclusions on temperature, but disagreement on rainfall. It is expected that the country will warm relatively uniformly, within the range of 1.6 to 5.0°C by the 2090s, equally affecting coastal cities, agricultural highlands, and glaciers on Mt. 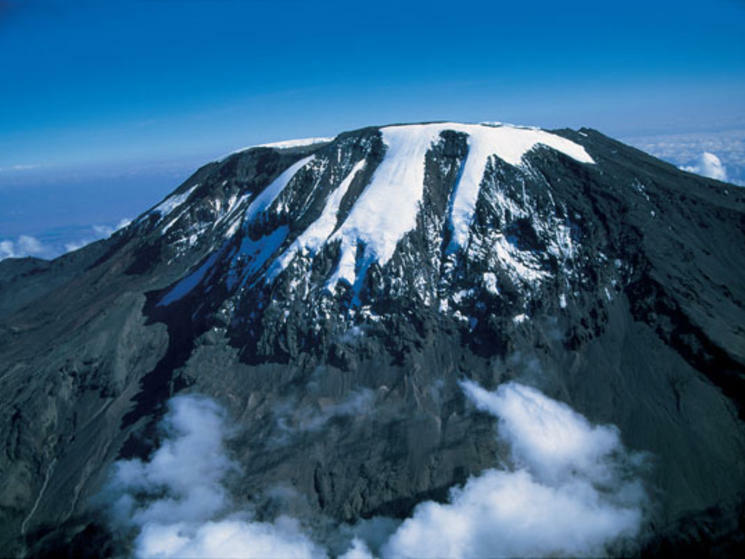 Kilimanjaro – itself projected to be ice free by 20336. The number of days above 30°C is expected to increase from 10 to 80 by the 2040s2. This is the same threshold that maize experiences heat stress, raising uncertainties about the future viability of some agricultural practices1. However, the effects on precipitation patterns are less clear. Measuring annual rainfall, one-third of the models reviewed suggest that there will be less rainfall, while two-thirds suggest that there will be more. Although this seems insignificant, the range in seasonal precipitation is predicted to be much greater, with a higher probability of droughts and floods occurring7. An enhanced and unpredictable ITCZ will be particularly impactful for migratory animals such as elephants, zebras and wildebeest, which rely on consistency of summer rains for survival2. Understanding changes to Tanzania’s climate is important in planning for the people, wildlife, and environment that rely on it. Shifts within the ITCZ will likely result in greater seasonal extremes and differing seasonality, but models cannot yet simulate all climatic interactions with high levels of precision. Ultimately, preparing for a range of realistic scenarios is the best response to an uncertain future. 1. Serdeczny, O., Adams, S., Baarsch, F., Coumou, D., Robinson, A., & Hare, W. et al. (2016). Climate change impacts in Sub-Saharan Africa: from physical changes to their social repercussions. Regional Environmental Change, 17(6), 1585-1600. 4. Schneider, T., Bischoff, T., & Haug, G. (2014). Migrations and dynamics of the intertropical convergence zone. Nature, 513(7516), 45-53. 6. Thompson, L., Brecher, H., Mosley-Thompson, E., Hardy, D., & Mark, B. (2009). Glacier loss on Kilimanjaro continues unabated. Proceedings Of The National Academy Of Sciences, 106(47), 19770-19775. 7. Chou, C., Chiang, J., Lan, C., Chung, C., Liao, Y., & Lee, C. (2013). Increase in the range between wet and dry season precipitation. Nature Geoscience, 6(4), 263-267.